Bluebells, cockle shells, eevy-ivy over. About the song: This pentatonic song is associated with a partner dance. 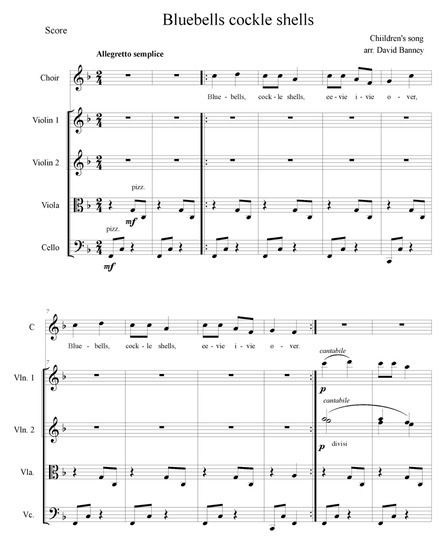 About the arrangement: The arrangement begins with cellos and basses pizzicato. After the melody is sung by the choir it is repeated by the violins. Students may be asked to identify when the violins appear.